We provide the NRA Basic Pistol Course. 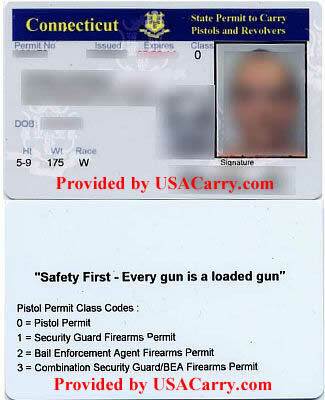 This DESPP (Department of Emergency Services and Public Protection) which is basically the CT State Police, issued Pistol Permit, is for anyone over the age of 21 and allows for the carry and purchase of handguns, long guns, and ammunition. Connecticut laws will be discussed in general. It is highly recommended that all students follow up their basic training and take these advanced courses once they receive their permit and purchase their own handgun. They should practice at Chris’ Indoor Shooting Range in Guilford, CT is a great place to do so. Residents of Connecticut who wish to purchase, possess and transport pistols and revolvers outside their homes within the state of Connecticut or who wish to carry a loaded handgun on their person for personal protection in the event of a self defense situation must first obtain a CT Permit to Carry Pistol and Revolvers. With this permit you will also be able to purchase rifles, shotguns and ammunition without needing to get another certificate or permit. (Recently passed PA 13-3 requires that after April 1, 2014 any purchaser of a rifle or shotgun hold a Permit to Carry Pistols and Revolvers, a Handgun Eligibility Certificate or the newly created “Long Gun Eligibility Certificate” Ammunition certificates will be required to purchase ammunition or magazines after October 1st of 2013). The National Rifle Association’s Basic Pistol Class meets this requirement in Connecticut, successful completion of this course also meets the training requirement to apply for Non-Resident Carry Permits in Florida, Maine and several other states. May Issue to Residents and Non-Residents. Connecticut issues a State Permit to Carry Pistols and Revolvers which allows you to carry concealed or open. Issuing Authority: Connecticut State Police. Apply for your state permit if you are a resident at any Connecticut State Police licensing station. 12. Is not prohibited from possessing a firearm for having been adjudicated as a mentally incompetent under federal law. 2. It is unlawful to possess a firearm on public or private elementary or secondary school property. This prohibition shall not apply to a person with a firearm carrying permit, with permission from school officials, or while traversing school property with an unloaded firearm for the purpose of gaining access to lands open to hunting or for other lawful purposes, provided entry is not prohibited by school officials. Waiting For Information. As always, alcohol/drugs don’t mix with firearms. That’s a pretty simple rule of thumb. Prohibited in all public areas unless one has a permit. For additional information please contact the DESPP (Department of Emergency Services and Public Protection) which is basically the CT State Police.